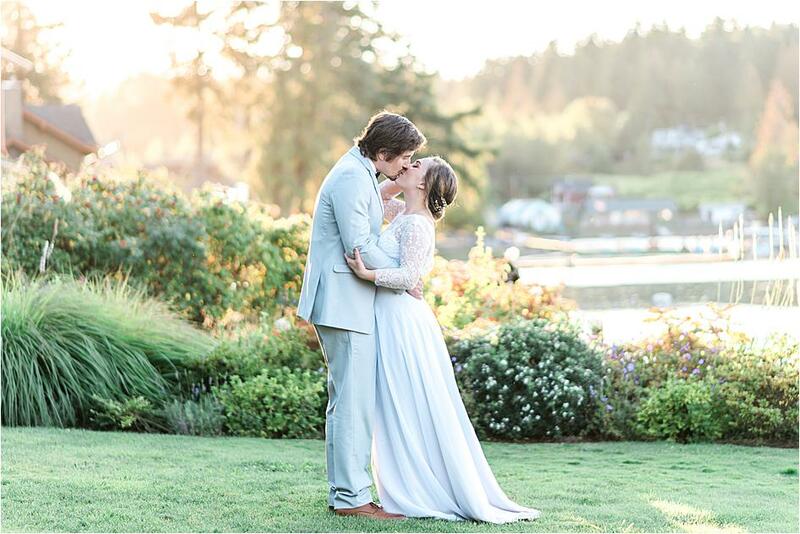 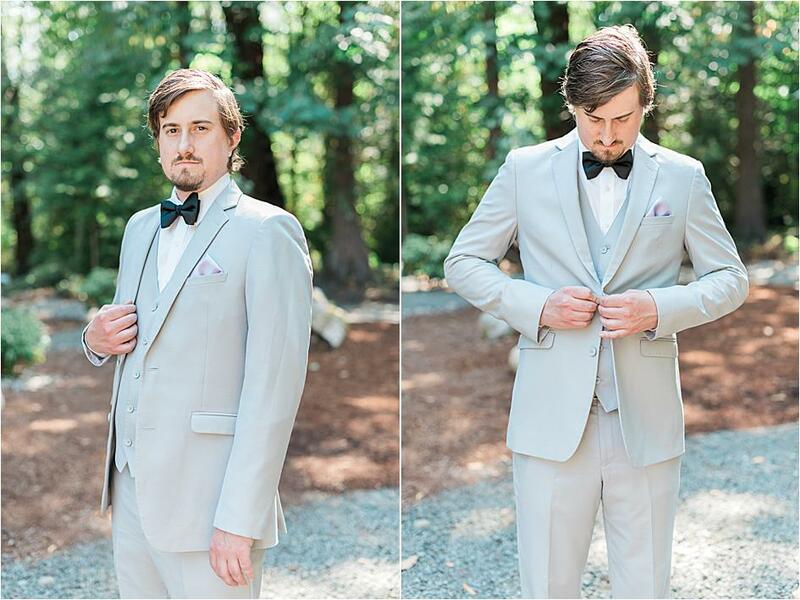 Alysse and Edward's beautiful Pacific Northwest wedding day was one for the books. 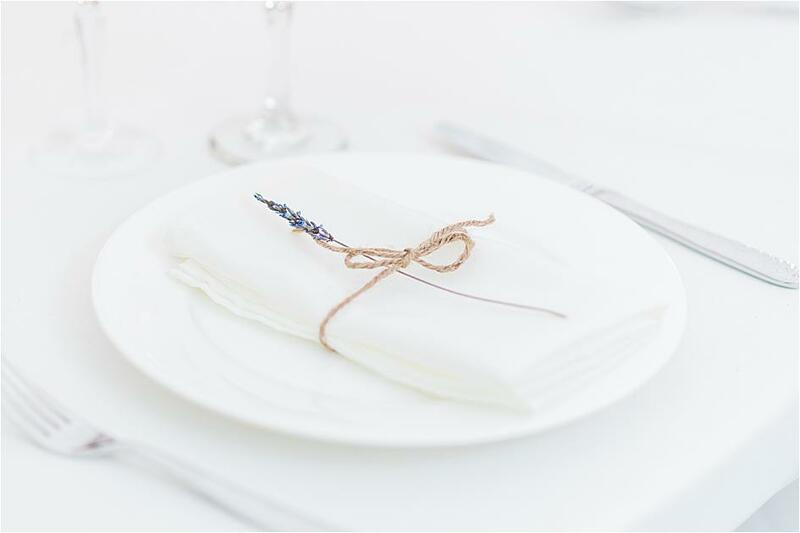 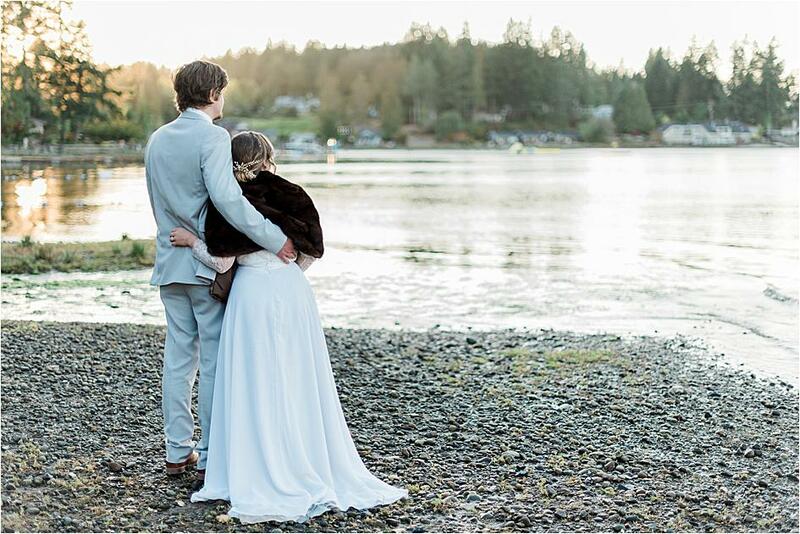 A gorgeous venue on the Hood Canal, sentimental decor elements and an elegant neutral-hued palette combined to create a stunning setting, and the love between the bride and the groom shone through each and every photo. 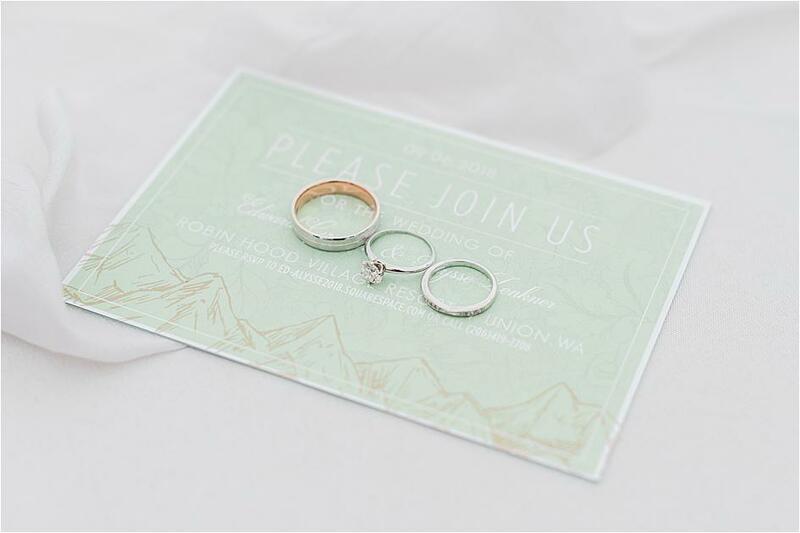 Scroll down to read more from the photographer and get a glimpse of pretty pastel shades perfect for a spring Seattle wedding. 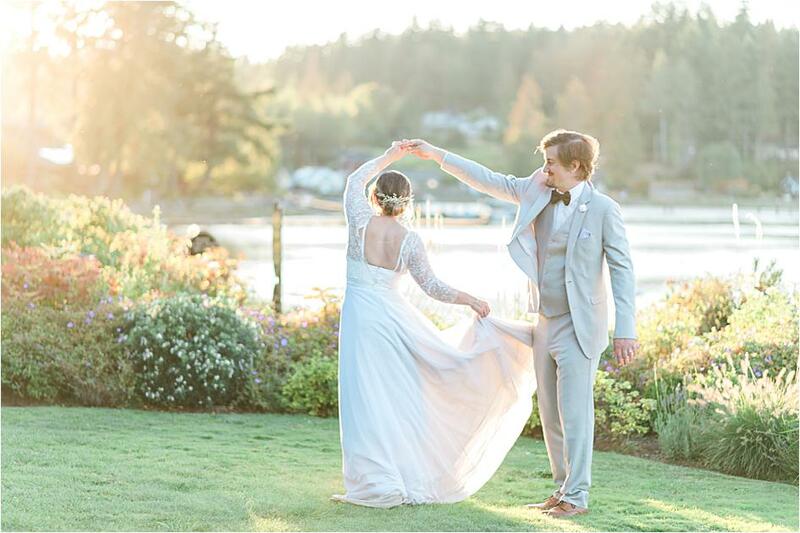 "This unique wedding venue made the perfect canvas for the whimsical wedding day that Edward and Alysse envisioned. 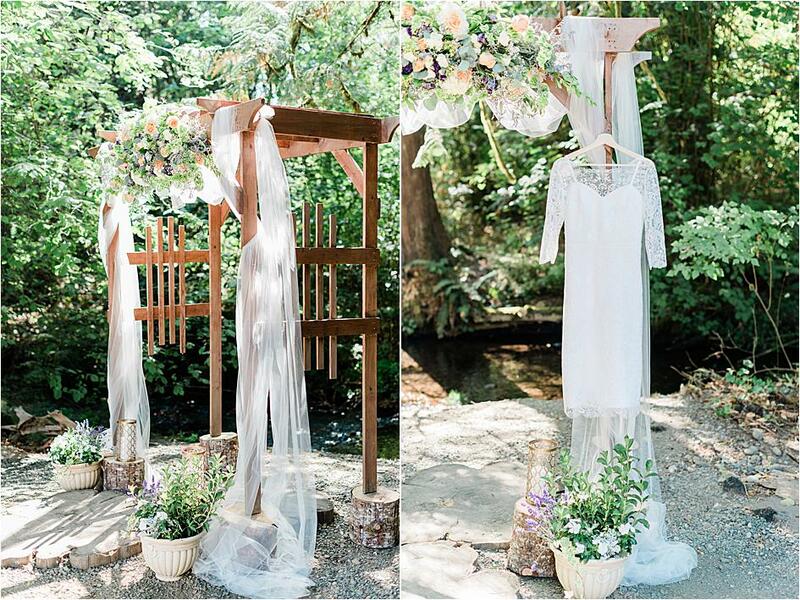 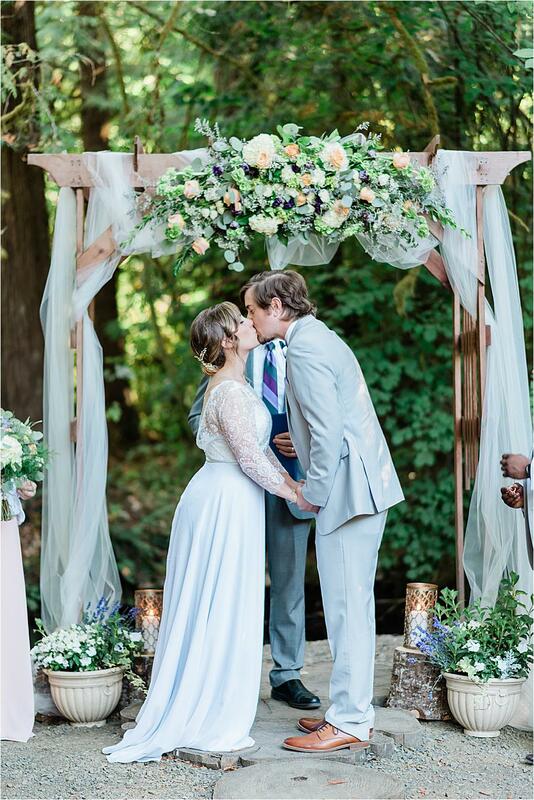 A ceremony surrounded by trees, just a short walk from the beautiful Hood Canal peninsula of Western Washington, provided a setting that was both enchanting and romantic. 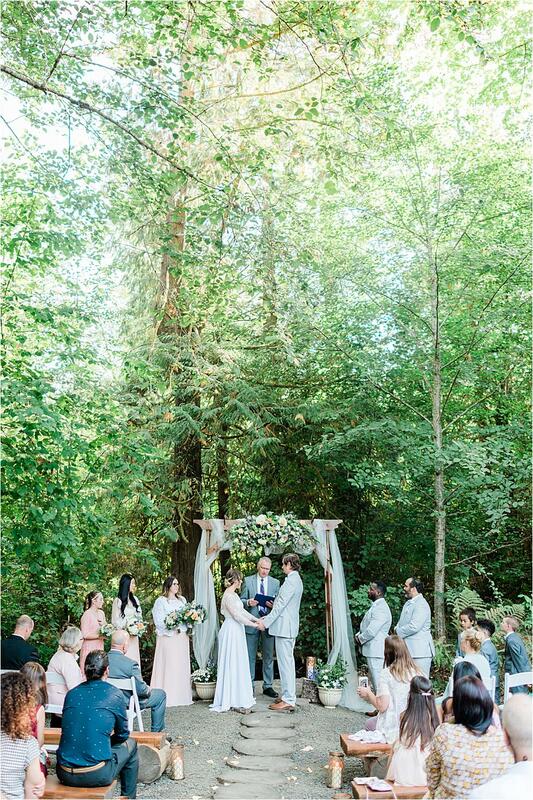 The ceremony site was nestled in a clearing in the forest. 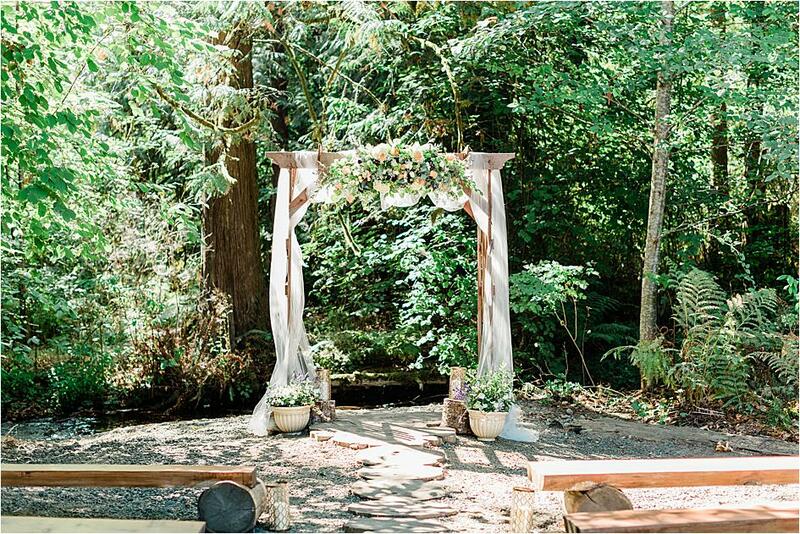 Guests sat on rustic log benches and were serenaded by the sound of a solo flutist and the babbling of the creek that ran just a few feet away from the altar. 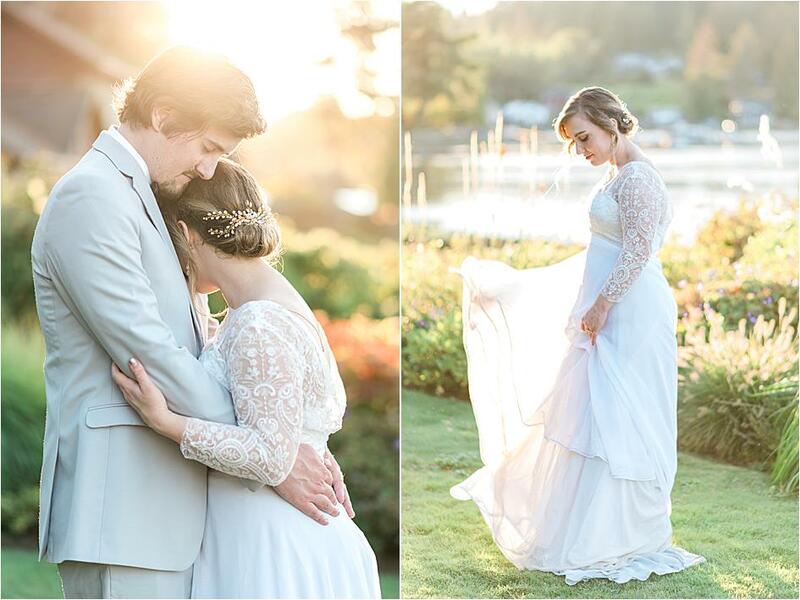 Everything about it was beautifully Pacific Northwest! 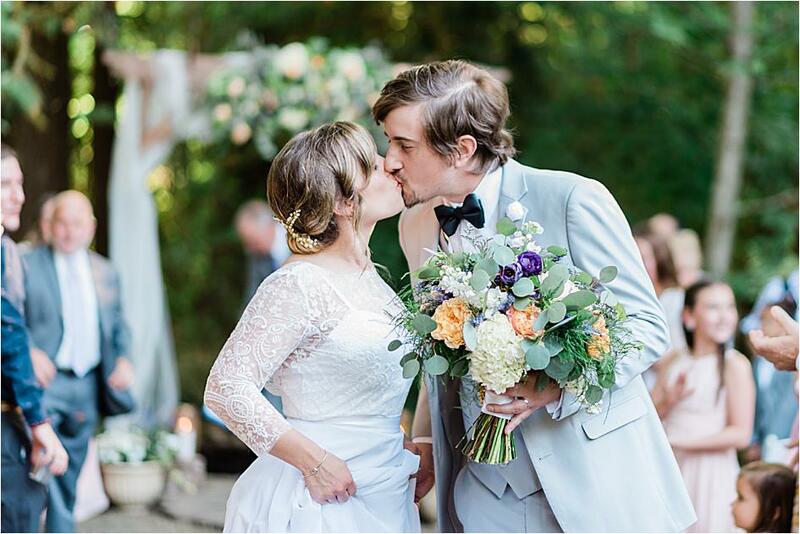 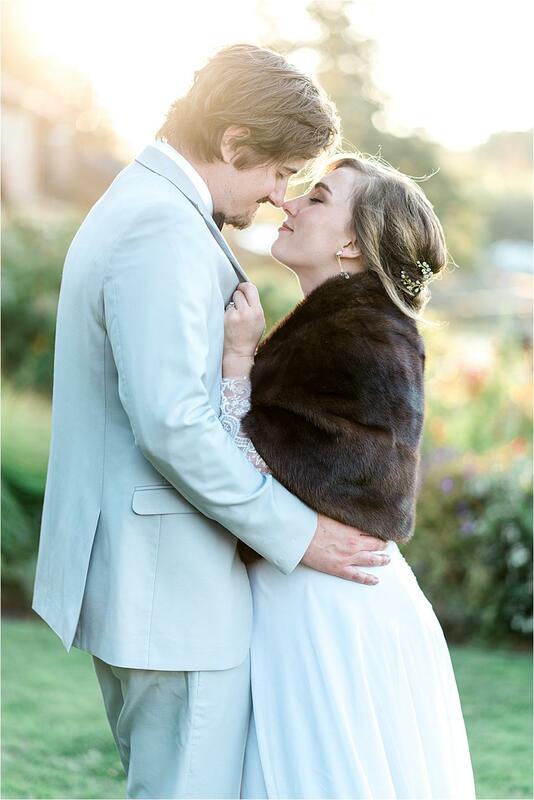 So many personal, intentional touches made this wedding day one-of-a-kind. 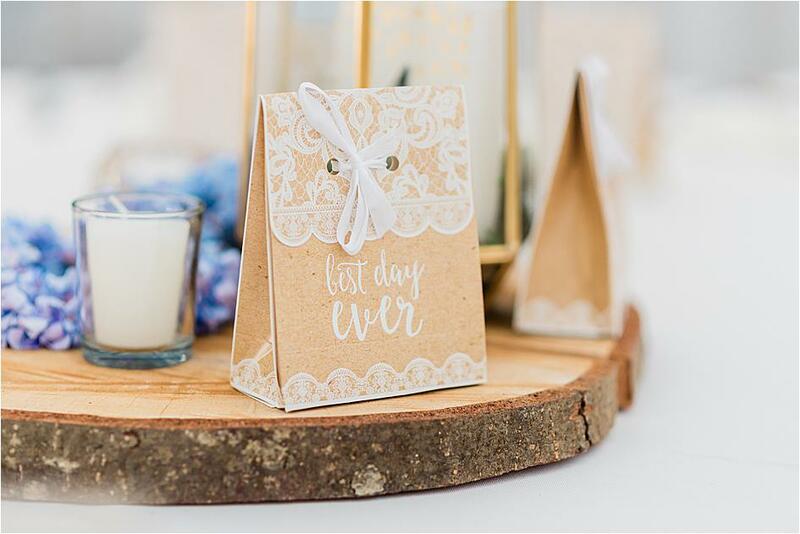 From the invitations designed by the groom, to the traditional Italian candied almond favors made by the mother-of-the-groom, to the gorgeous personalized Jenga-style guest-book created by the father-of-the-bride, nearly every detail was handcrafted or carefully designed by the bride, groom, and their friends and family. 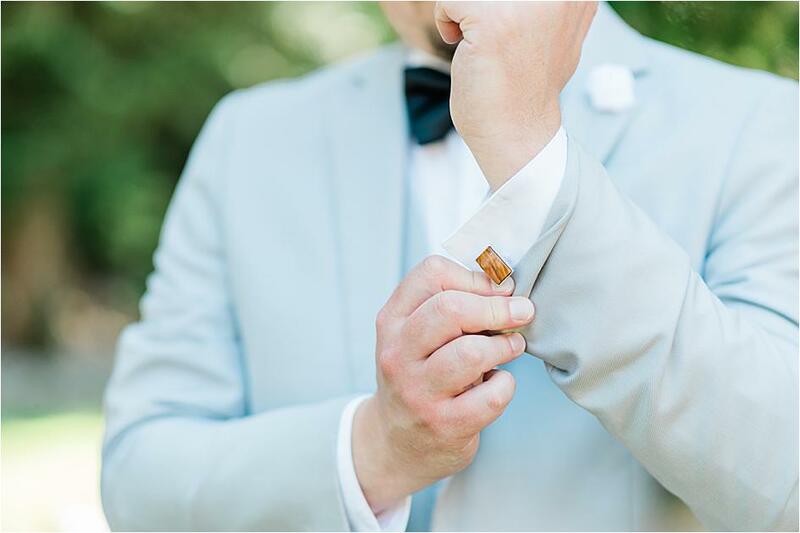 The bride's gorgeous wedding ring was a family heirloom; her great grandmother’s 1950 Tiffany ring, bearing an original inscription by her great grandfather. 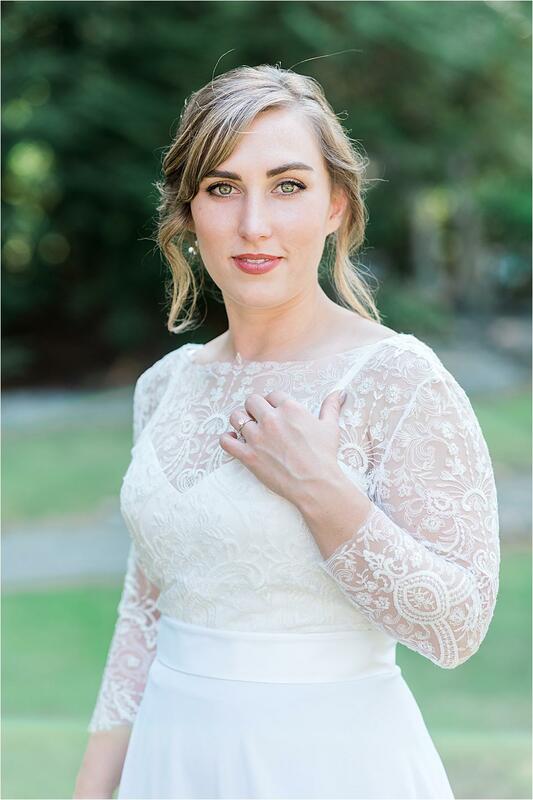 The mother-of-the-bride designed and made the wedding dress by hand and every precious detail was crafted with the bride in mind. 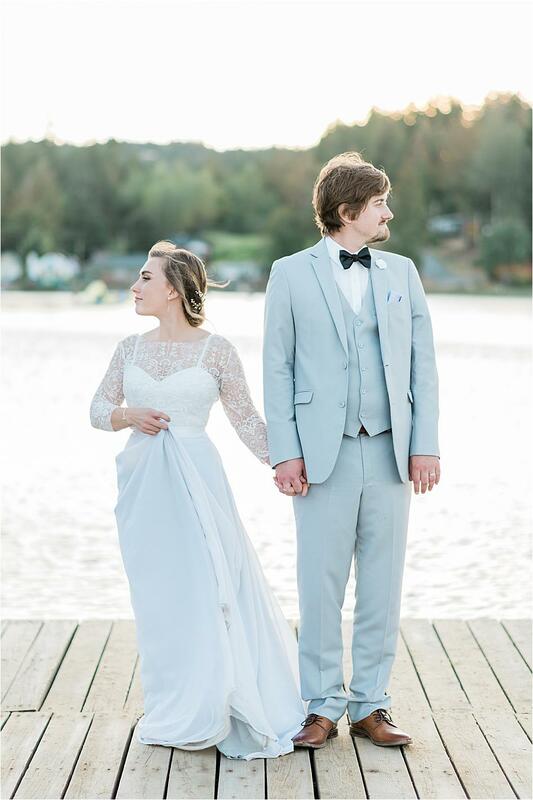 It was a 3 piece ensemble, with the ability to remove the detachable long skirt to reveal a shorter dress more suitable for dancing and partying the night away. 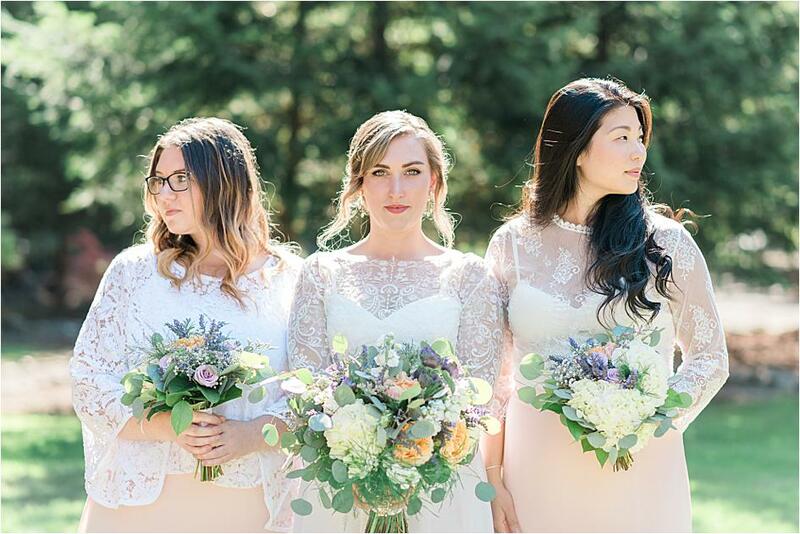 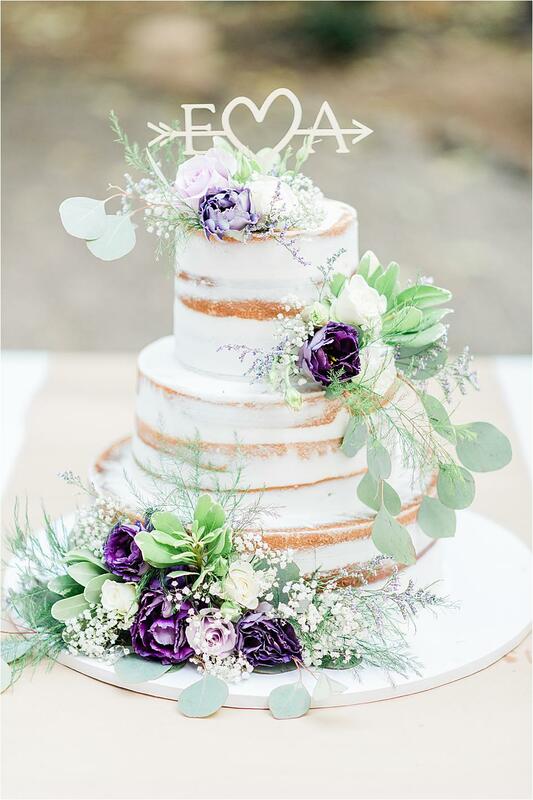 While the dress was made of the most delicate white lace, the skirt itself had just a hint of lavender, a nod to the brides love for lavender which was incorporated throughout the wedding day."